LA’s best Pinot - and wineLA’s biggest event of the year is back and it's bigger and better than ever! 75 Producers pouring over 200 Pinot based wines! 6. Because Pinot is very important and so are you! We have the best in the business coming and you should be there too. 7. 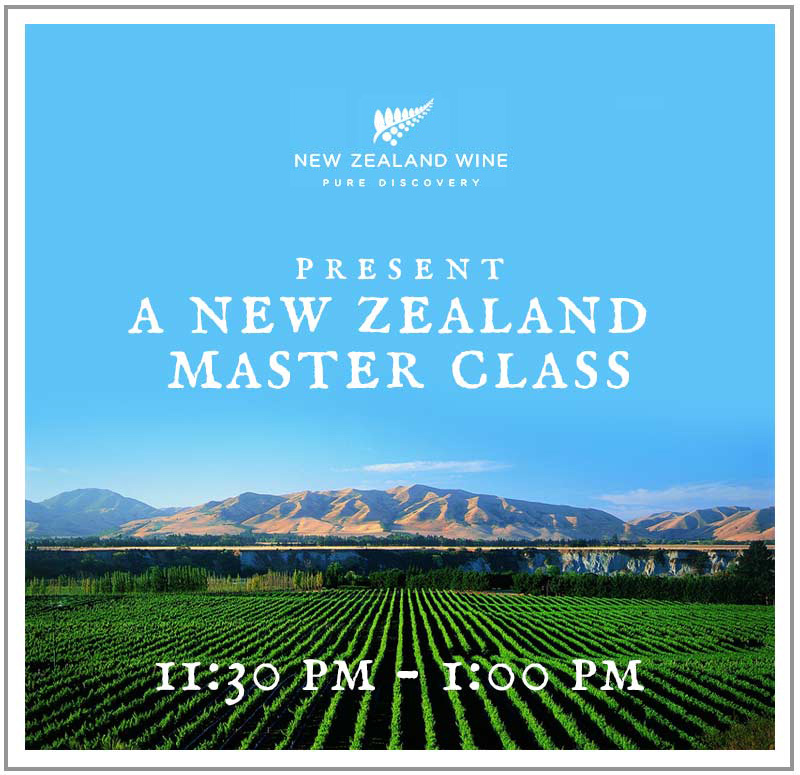 André Mack will be there - Former Sommelier at PER SE and French Laundry as well as dozens of world famous winemakers and owners. 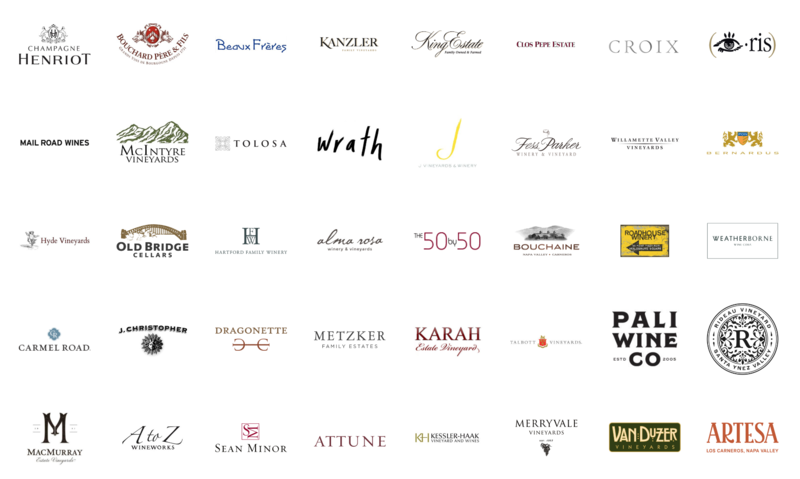 Due to the sponsorship of this event by the individual wineries, only buyers for recognized retailers, restaurants, wine shops, and licensed accounts are sponsored as well as invited Press. 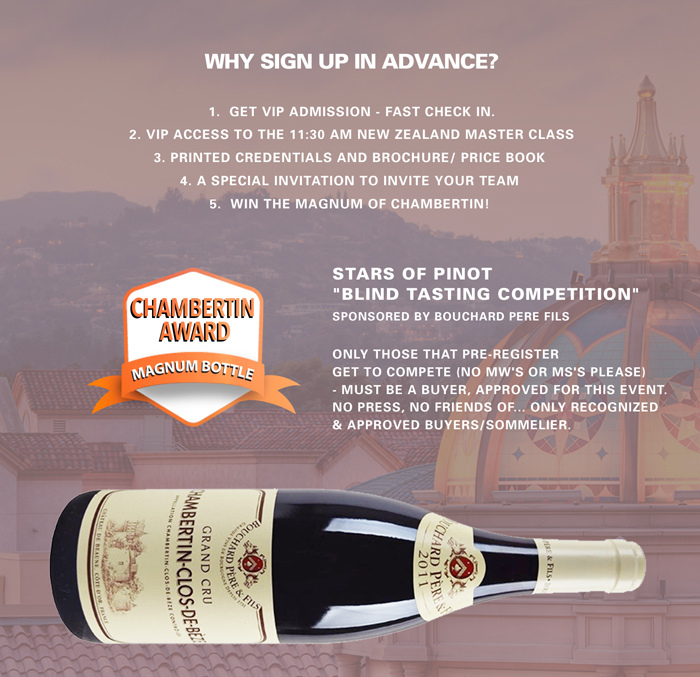 Any other member of the trade may attend this event for a small fee to cover the costs incurred by the vintners. If you believe you deserve a complimentary ticket, we encourage you to fill out the registration and we either confirm your request or issue a response. If you are a sales agent, broker, or distributor, you can bring a buyer from a licensed account with you and have free admission. The spirit of this event is to promote wine from top producers from Santa Barbara to accounts of the greater Los Angeles marketplace. wineLA hosts significant events, occasional classes, and tastings of merit. This is phase two of what we started 20 years ago at LearnAboutWine.com - America’s first wine education website and first in wine event creation.